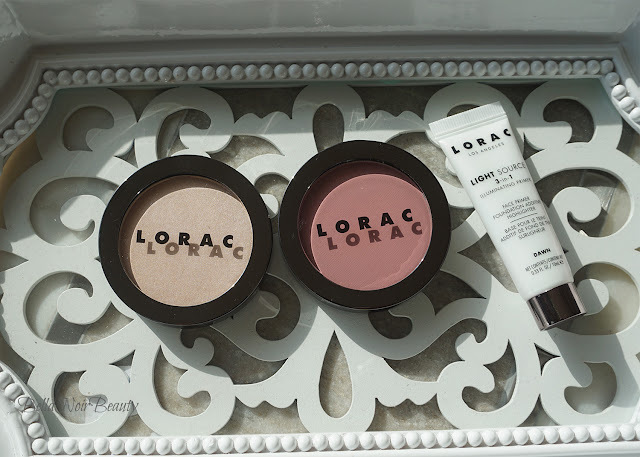 A while back, Lorac released a set that included a full-sized blush, highlighter, and a sample-sized primer. I purchased the set sight unseen and used all of them together. It makes for a delicious combo and I especially loved the illuminating primer so much, I bought the full size. 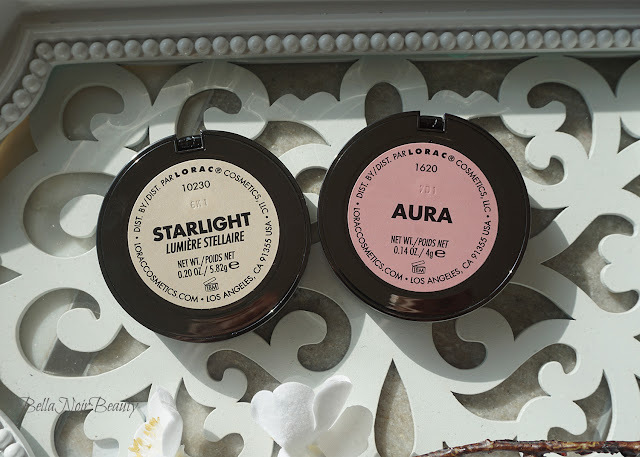 From the brand: These paraben-free, high-pearl highlighters are infused with anti-aging antioxidants and light diffusing, soft focus pigments for a silky-smooth, luminous glow. This illuminating, complexion-enhancing formula can be worn sheer for a soft, natural sheen or layered for a high-shine, dramatic effect. 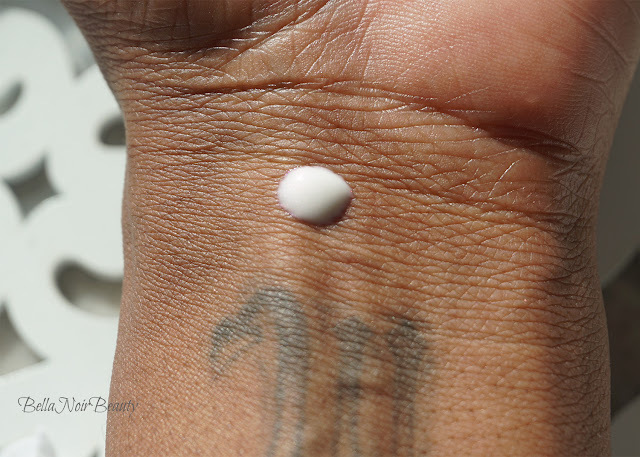 The highlighter that came in the set is called Starlight and is described as a White Opal. 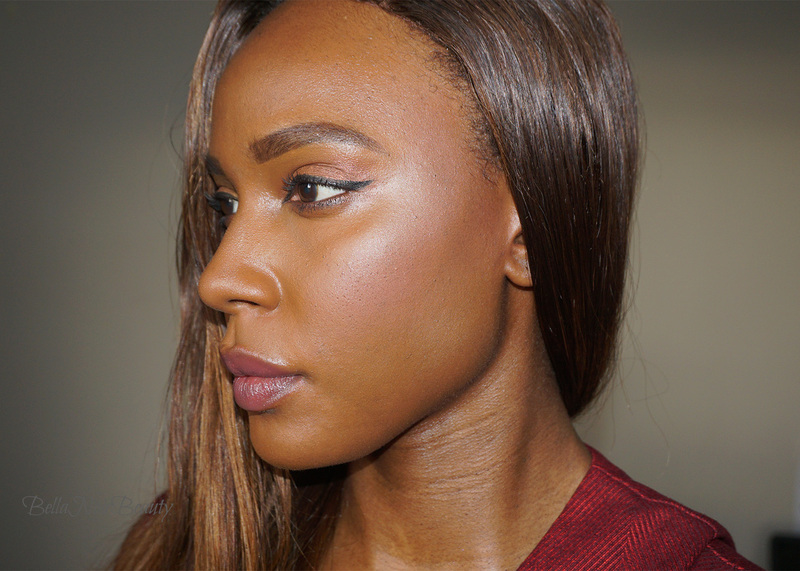 I wore the highlighter over the blush and found it to be slightly powdery, had buildable glow but was never sheer on my dark skin, and lasted all day long. It's really pretty, as you'll see in the photos below. 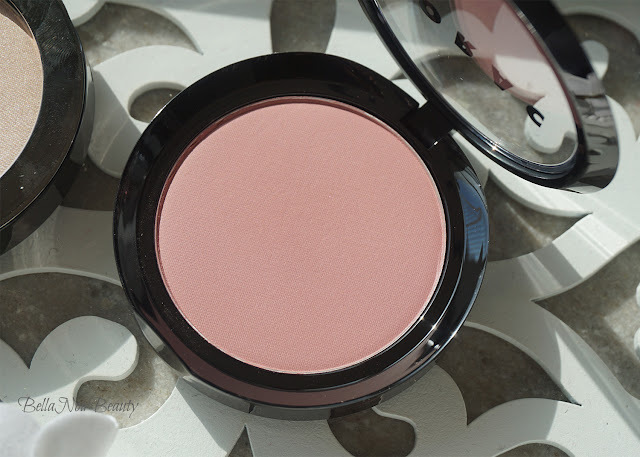 From the brand: These silky-smooth matte and satin blushes are paraben-free and infused with anti-aging antioxidants such as Pomegranate, Acai and Vitamins A, C & E. In a wide spectrum of complexion-enhancing hues, these buildable blushes can be worn sheer for a natural flush of color or layered for a dramatic effect. The blush that came in the set is called Aura and is describes as Rose. 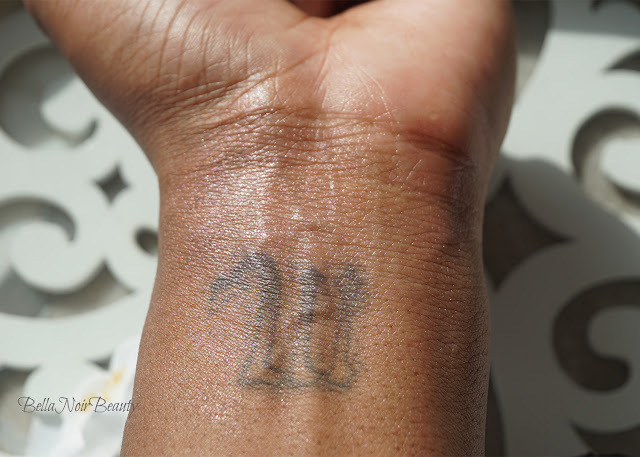 On my dark skin it was more of a peach and had a cooler undertone. It's definitely buildable and I used about three layers to get the desired pigmentation. I feel like the blush may be a little bit too cool for me (it has somewhat of a white undertone), but it still works. The blush is matte and I wore the Starlight highlighter on top of it. Those with cool undertones will love this set. 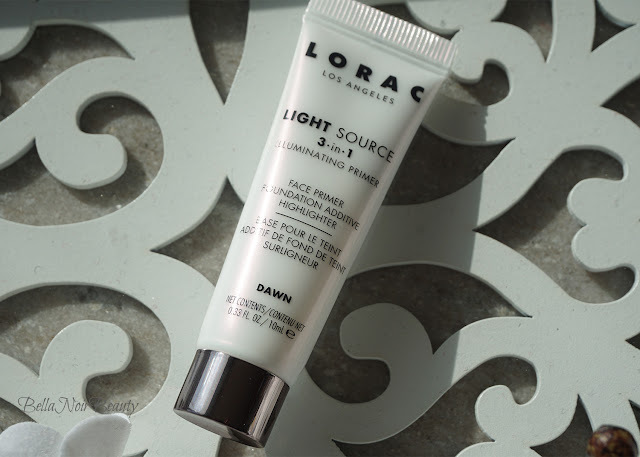 From the brand: Instantly bring luminosity and life to your face while preserving your makeup throughout the day with LORAC Los Angeles Light Source 3-in-1 Illuminating Primer. This paraben-free, high-pearl primer is infused with light diffusing, soft focus pigments for a silky smooth, luminous glow. My most favorite thing (probably of 2018 so far!) is the Light Source Illuminating Primer. 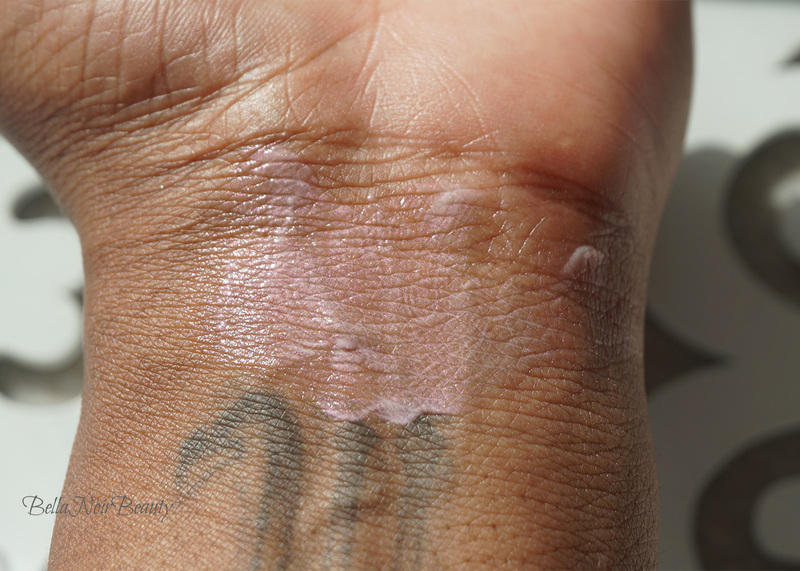 It can be worn under makeup as a primer, by itself after moisturizer, or as highlighter. I have worn them all three ways and I absolutely love it. 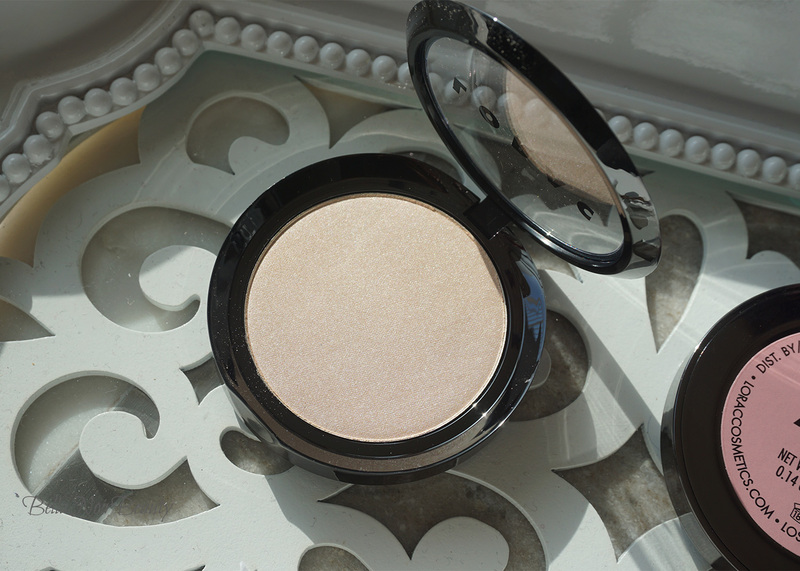 The shade included is Dawn and is described as a Pearl Shimmer. Look how beautiful! 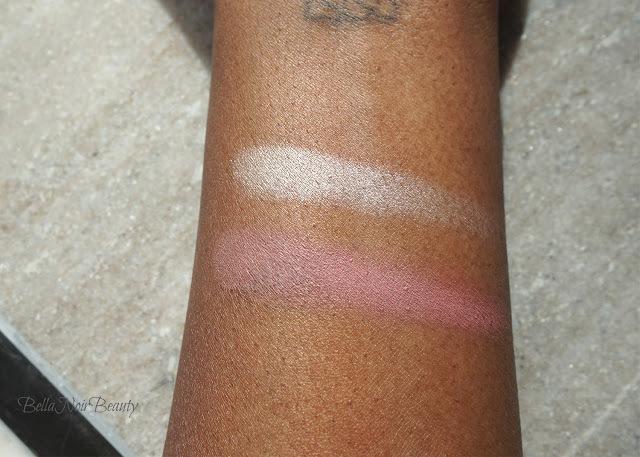 This color spectrum actually translates on the skin very, very well! 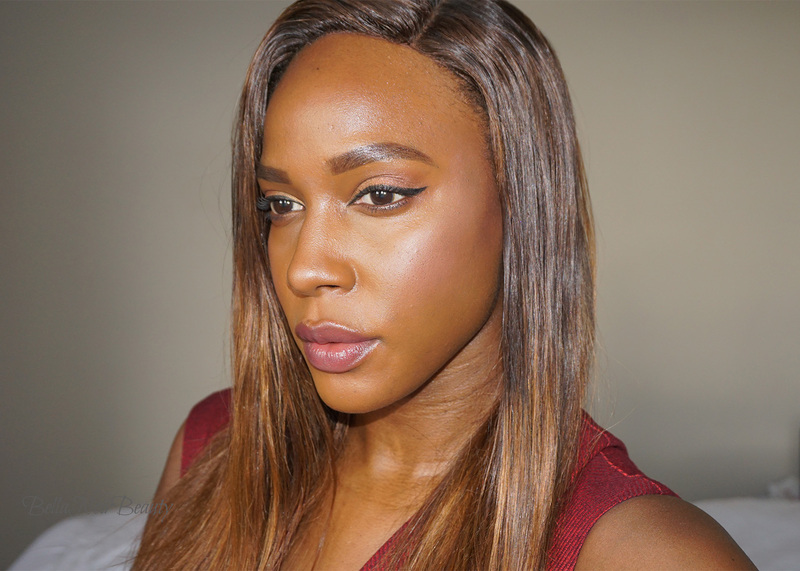 Here I am wearing the Illuminating Primer as a base under my foundation, the Color Source Blush in Aura, and the Starlight highlighter on my cheeks. Sweet combo! Keep your eyes open for a full review on the primer! I can't wait to show you guys!